Kyle Reynolds drives by St. Louis’ last surviving mound, Sugar Loaf Mound, located at 4420 Ohio in south St. Louis, all the time yet he didn’t know about its existence until he read about it online. Still baffled by its significance, he turneed to St. Louis Public Radio’s Curious Louis project to ask: What's the current situation with Sugar Loaf Mound? I know it's now owned by the Osage Nation, but what are their current plans? Dr. John Kelly, senior lecturer in archaeology at Washington University. On Thursday’s “St. Louis on the Air,” Dr. Andrea Hunter, the director of the Osage Nation’s Historic Preservation Office, and Dr. John Kelly, archaeologist and senior lecturer at Washington University, joined the program to answer Reynolds’ questions. 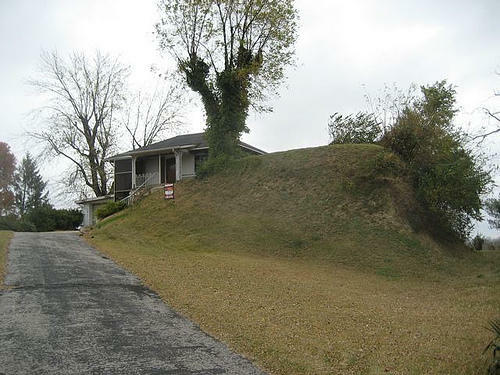 Sugar Loaf Mound was made by the same Mississippian culture that constructed the Cahokia Mounds across the river in Collinsville, more than 1,000 years ago. The Osage Nation (now based in Oklahoma) consider themselves the descendants of the civilization. The Osage Nation bought the Sugar Loaf property in 2009. Hunter said that the group had struggled to obtain finances to begin preservation efforts, but that the tribe is now preparing to move a tree sitting on the property and, this summer, will demolish the house that sits on top of the mound. She also said that next fall the tribe would invest in better radar technology that would allow them to see what lies underneath the earth of the mound without disturbing it. What is the history and current status of St. Louis' last surviving Native American mound? Experts Andrea Hunter, the director of the Osage Nation's historic preservation office, and John Kelly, archaeologist and senior lecturer at Washington University, weigh in on this Curious Louis question. 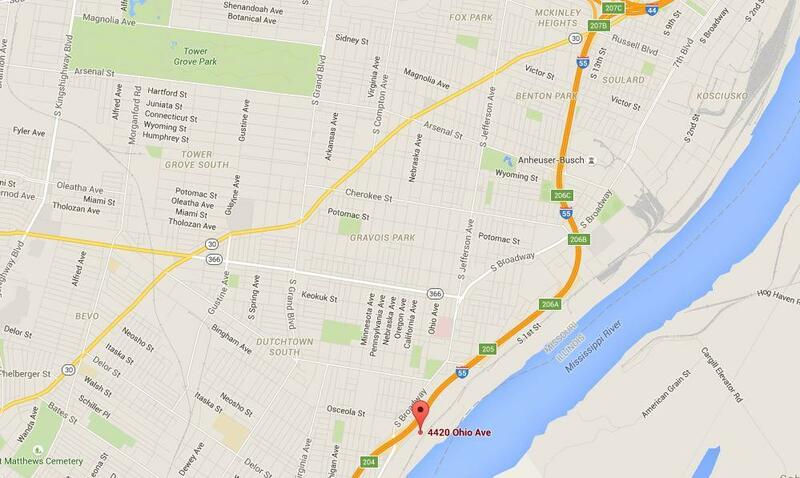 You can find Sugar Loaf Mound at, 4420 Ohio St. in south St. Louis. Why is it called Sugar Loaf Mound? 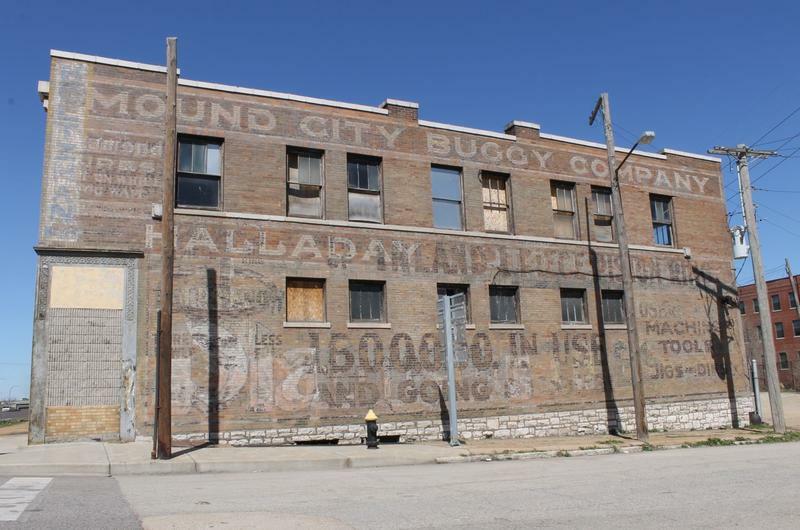 “When we learn of our history and gather this information about where we were on the landscape and try to retrace our history and learn about such instances in the St. Louis area, it is devastating to hear and realize that we were associated with a culture that created such architecture and to know that the next wave of folks that came into that area had no respect for those mounds,” Hunter said. “Whether they understood what they were or not, it is devastating to know they were disregarded and destroyed. What does the Osage Nation plan to do with the property? In addition to the removal of the tree and house from the property and radar investigations, the Osage Nation has other plans to coordinate with the mound’s preservation. “At the current time, what we’re considering is creating an interpretive center in the local area,” Hunter said. “We have different plans according to what we’re able to acquire in that region right there where the mound is located. There are a couple of other private properties north of the lot the tribe owns. Further, at the end of Ohio St., there’s a MODOT property which is currently up for sale and we’ve been in negotiations with MODOT trying to purchase that property. I’m not sure we’ll be successful, they’re asking a lot for the property. Where does the budget for such projects come from? How can preservation of the mound be supported? You can contact Hunter at ahunter@osagenation-nsn.gov. There were once far more than 39 mounds in St. Louis. The main group was just north of the Gateway Arch, where the Rams stadium and complex was proposed to go. That had a large burial mound associated with it that was 40 feet high and had religious significance. Although the city undertook efforts to preserve that mound as a park, efforts failed and, eventually it was torn up and hauled away for fill dirt. There were once 14 mounds in Forest Park. They were mapped and excavated. One group was near to the Saint Louis Art Museum. There were human remains associated with them. The other mounds were below the Art Museum where the golf course is. There is no evidence there are any others still there. Plans for a new St. Louis football stadium seem to be moving ahead. Just last week, NFL commissioner Roger Goodell called the stretch of riverfront near the Edward Jones Dome a “perfect” location for the new sports venue. But it is also the site of an ancient Native American city — and that is raising concerns. The people who built and lived among the tall, sculpted mounds now preserved at Cahokia Mounds Historic Site have long presented a mystery to archeologists. One of the biggest mysteries: Why did they leave? 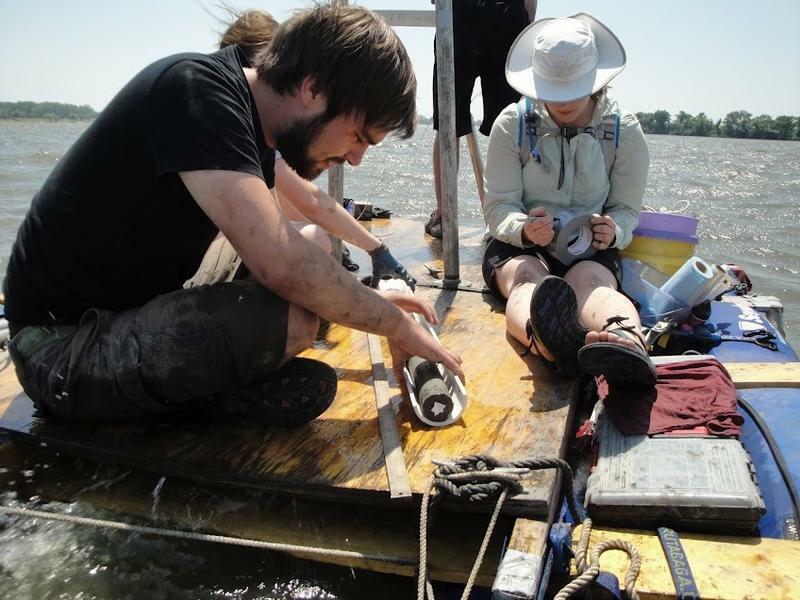 A team of geographers studying pollen deposits buried in the sediment under Horseshoe Lake may have stumbled upon new evidence that helps explain Cahokia’s decline. After word spread that the cash-strapped Cahokia Mounds Museum Society was crowdfunding to raise $7,500 to print brochures for the storied Illinois landmark -- the largest prehistoric Indian site north of Mexico -- donations poured in from down the road, around the globe and from a mysterious alternate reality.